With the vast majority of Hawaii’s population residing on Oahu, you would think it would be the epicenter of all-things-cultural in Hawaii. But, the neighbor islands are teeming with local art, sculpture, artifacts, and collections—much of which you can see on display at one of the many neighbor island museums. Thomas A. Jaggar Museum: Hawaii’s Big Island is the home of the islands’ only active volcano and the birthplace of King Kamehameha I, making its museums truly unique. Located in Hawaii Volcanoes National Park and overlooking Halemaumau Crater, the Thomas A. Jaggar Museum is home to geologic displays, maps and videos about the study of volcanoes. Puuhonua o Honaunau National Historical Park: Along the lava rock coastline of south Kona, Puuhonua o Honaunau National Historical Park is a 180-acre national historic park featuring restored temples, fierce kii (wooden images of gods), and royal grounds. Head north along the Kohala Coast to Puukohola Heiau National Historical Site and see the largest restored heiau (temple) in Hawaii. Between 1790 and 1791, King Kamehameha I ordered the construction of this heiau. He dedicated it to the war god Ku to help him unite the Hawaiian Kingdom. Imiloa Astronomy Center: Hilo’s newest world-class attraction, the Imiloa Astronomy Center is housed beneath three striking titanium cones representing the three largest mountains on Hawaii Island. It features fun Interactive exhibits and an IMAX-style theater. 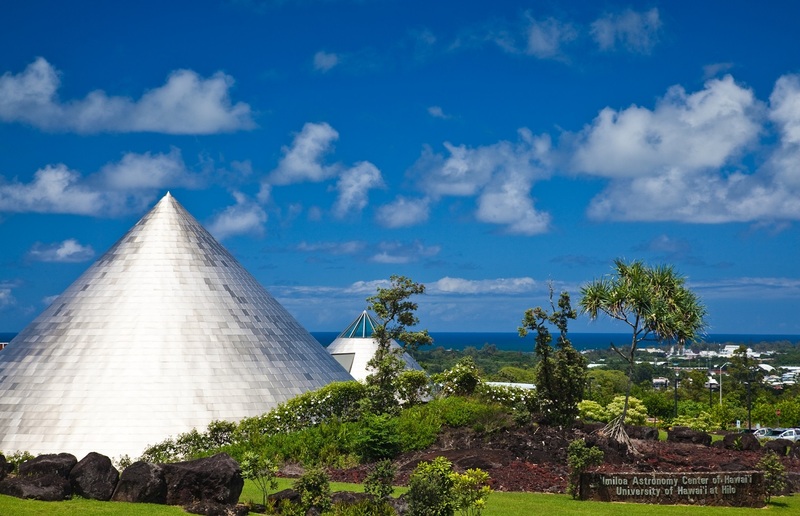 The Imiloa Astronomy Center is housed beneath three titanium cones, signifying the three largest peaks on the Big Island. The Whalers Village Museum: Located in the Whalers Village shopping center fronting beautiful Kaanapali Beach, the Whalers Village Museum features artifacts and exhibits centered on the whaling era from 1825-1860. Alexander and Baldwin Sugar Museum: The sugar industry also played a major role in Maui’s history. Visit the Alexander and Baldwin Sugar Museum to see the workings of a sugar mill and learn how sugar helped shape the multi-ethnic population of Hawaii. Kauai Museum: the Kauai Museum in Lihue features amazing collections from the artisans of Kauai county. Visitors can learn about the geology of Hawaii, early Native Hawaiian life, and Captain Cook’s arrival on Kauai’s shores in Waimea. 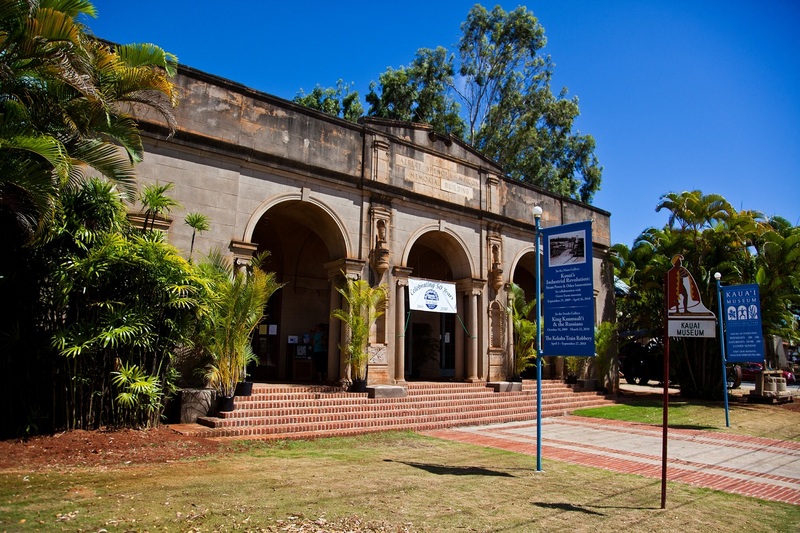 The Kauai Museum showcases the history of Kauai, including the arrival of Captain Cook in Waimea. Grove Farm Homestead Museum: Also in Lihue, the Grove Farm Homestead Museum is a 100-acre, historic site that showcases life during Kauai’s plantation era more than a century ago. Kokee Natural History Museum: On the West Side, just beyond breathtaking Waimea Canyon, you’ll find the Kokee Natural History Museum. This is the place to go to get an overview of the hiking trails, rare plants, and endemic animals found in Kokee State Park and Waimea Canyon. If you’re planning a trip to the neighbor islands, you can still indulge your interest in arts and culture. In fact, the neighbor island museums offer a unique perspective into each island’s history. And, that’s a rare treasure to bring home!